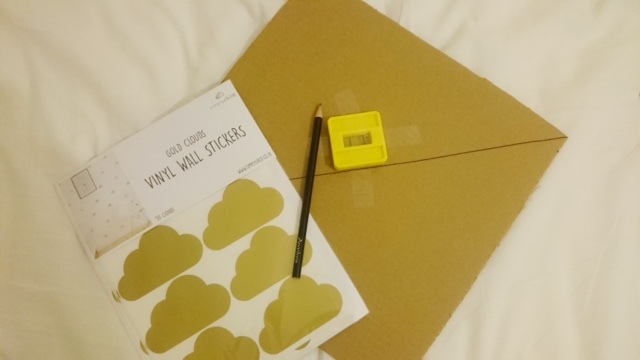 A very simple DIY post to share with you all since there was a lot of interest in the way I have decorated one part of the wall in Nicole's room. Some have asked if it's wall paper its not they are stickers so how do you space it all out and stick it on etc... 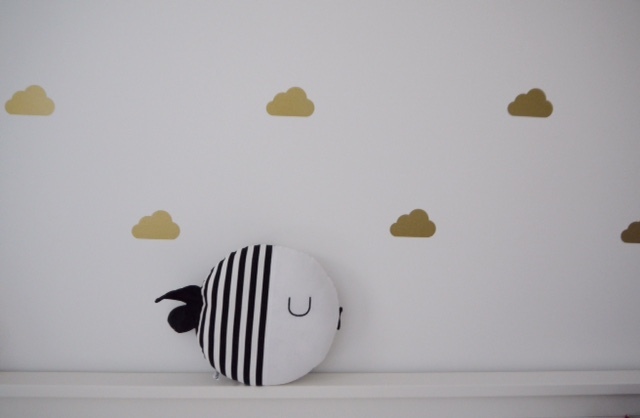 If you missed my post you can catch up here - Nursery Decor / Baby Room. 1. Stickers vinyl ones so they can peel off when you no longer want them and they do not damage the wall. 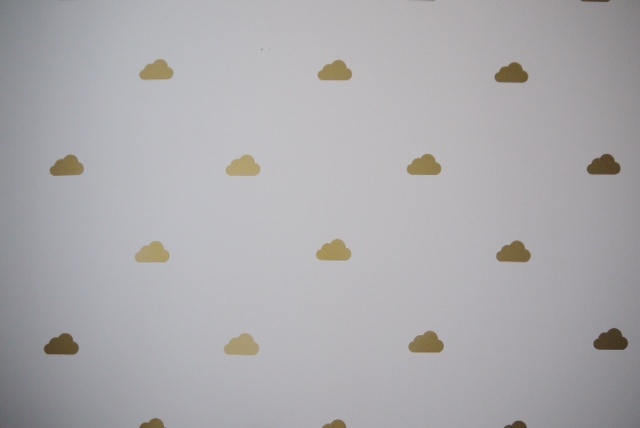 I went for gold clouds which were purchased from Etsy. 2. Pencil for the marking on the wall for the spacing. 3. 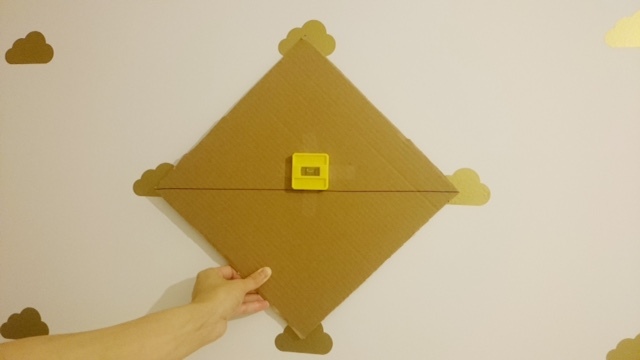 Cardboard cut out to a square and the size will depend on how far spaced out you want each of the stickers. 4. One of those balance things (the yellow thing sorry don't know the proper name) so the spacing is even see below. I started off in the top right corner of the wall and used the cardboard below to mark crosses on where the stickers should be. When all the crosses are marked out you can roughly see where the stickers will be and it will give you an idea what everything looks like before you stick them on. If everything looks ok then start sticking. We were doing 1 row at a time to make sure everything looked ok. It look us one evening to complete the whole wall but take your time doing it to make sure all the spacing etc look ok. I threw out the cardboard when I was done so I forgot what size it is. That's it really simple yet effective look for every room and there are plenty of sticker patterns to pick from. I was undecided between black triangles or spots and this gold cloud. The clouds came up top from the poll I ran on twitter.